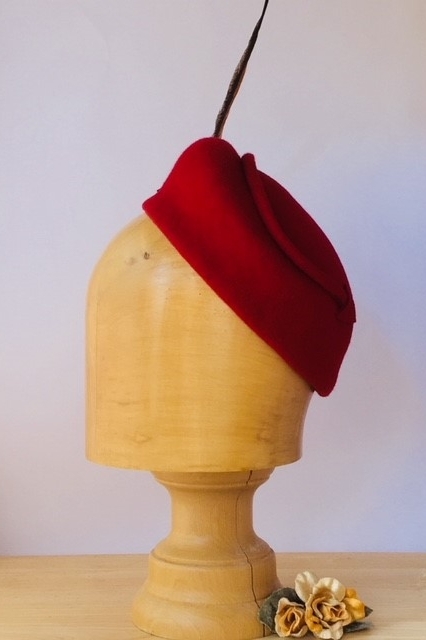 Easy to wear vibrant red felt structured cap. 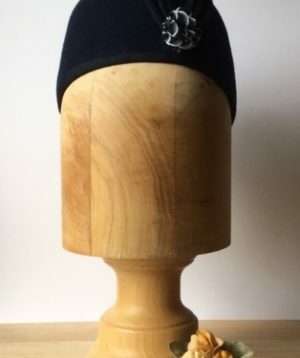 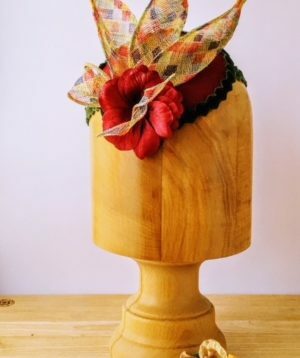 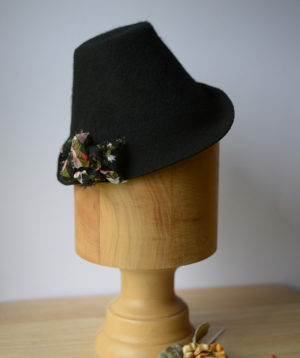 This hat can sit forward, backwards and to the sides depending on preference. 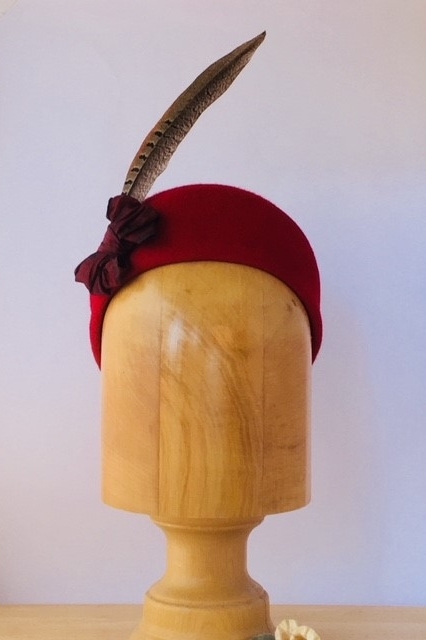 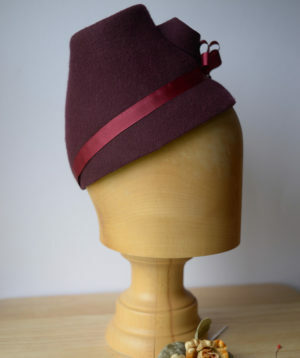 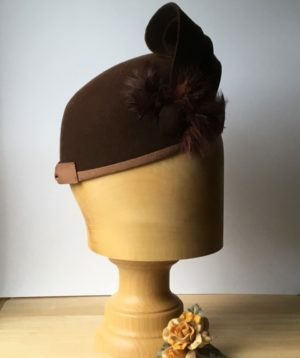 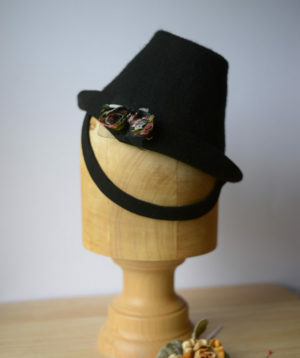 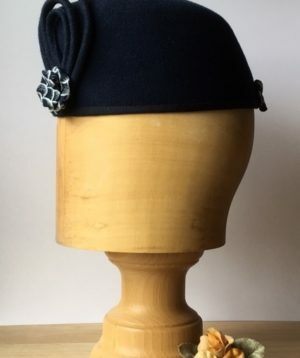 It is lined with signature Minivers Vintage lining which covers double stiffened millinery buckram for robust wearing. 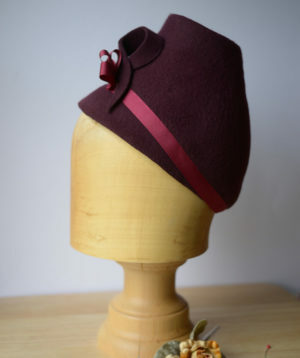 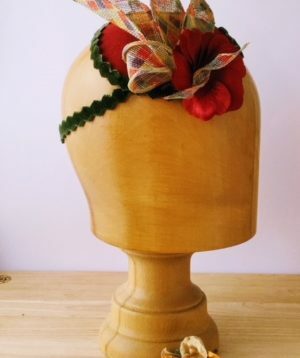 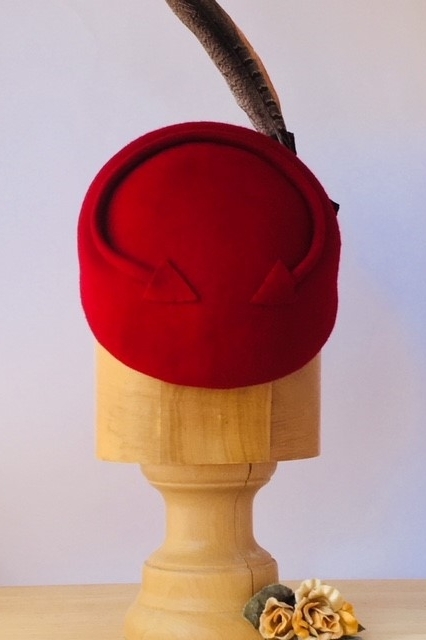 It is finished with red piping on the crown and a stiffened satin-type ribbon and feather to front. 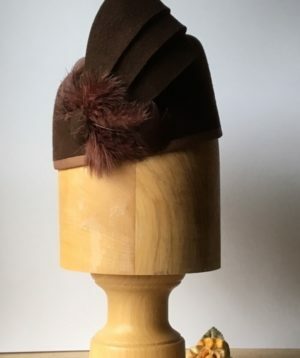 It comes with hat elastic.